SpringsTaxpayers.com is following a story that has not been broadly reported, but may cost taxpayers $570,000. Sounds crazy, but here goes. 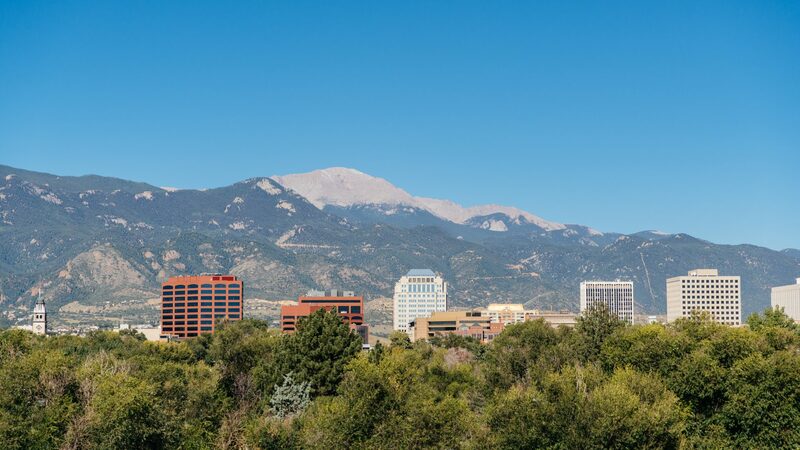 In the Colorado Springs City Council work session on March 12, 2018, there was discussion about the transfer of land from the City to a local non-profit, Greccio Housing, for the purpose of building low-income senior housing. You can watch the whole presentation by clicking on 8H on the agenda. Steve Posey, the City’s HUD administrator describes the property as being at 4921 Templeton Gap Road, and as having been donated to the City of Colorado Springs in December of 2012. It is 1.14 acres of vacant land. For the first 3 years after the property was donated to the City, the only way it could have sold the property was for a public purpose. That public purpose requirement would have expired in December 2015. In order for the City to enter in to an agreement for the purchase of the Templeton Gap property, the City Council must pass a resolution. Greccio Housing’s proposal —in conjunction with Medici Group— would call for 50 units on the 1.14 acres, with lower parking density as compared to other multi-family units. Councilman Geislinger weighed in that the City should have a “more vibrant group of developers who are interested in doing this,” echoing Knight’s concern about Greccio Housing being the only organization that was offered the property. Although the property is estimated by the City to be valued at $570,000, it is being offered to Greccio Housing for $1. Some would look at that as a loss of $569,999 to the taxpayers. According to CORA, the City must provide us the information within 3 days, or provide a reason why. They got back to us saying that it would take longer than the 3 days to provide us the documentation, but they gave no concrete reason. They asked for 7 more days to obtain the information. We then noticed an item on the March 27th City Council Agenda to offer and pass the resolution for the sale of the Templeton Gap property to Greecio Housing. We don’t have screenshots of when the item was added, but we keep an eye on the agendas, and don’t recall it being there prior to our CORA request. What it looks like to us, is that we asked the City for answers to some fairly basic questions, they added an agenda item to the next City Council meeting to pass the resolution, and they delayed the responses to our CORA request. We are happy to be proven wrong if we have misread these facts. After significant follow up with the City, they provided us with the land donation agreement. We are still waiting for the other items. We believe that this resolution for the sale of the Templeton Gap property to Greccio Housing for $1 should be taken off the calendar and delayed for at least two weeks until the public has the answers it is looking for. Residents can attend the Tuesday Colorado Springs City Council meeting and provide their opinion about delaying the vote. They can also contact the City Councilors at AllCouncil@springsgov.com or by calling (719) 385-5986. We can all agree that we want affordable housing for seniors and other low-income renters. Giving away a valuable piece of property without having all the answers on the table isn’t an open and transparent way to go about it. Check with Arvada on how it should be done over peoples’ objections. Read the bottom line of the story: Gaebler is going to “move low income housing into all neighborhoods” This needs to be watched very closely! She and Skorman both.